Two people have been arrested after a woman and her dog were killed in a hit and run in Northumberland. The 64-year-old victim was out with her pet at around 10.25pm on Saturday night and walking along the B6395 Stonyflat Bank in Prudhoe when a vehicle collided with her. The driver of the car is believed to have fled immediately after the incident. After emergency services arrived, both the woman and her dog were pronounced dead at the scene. 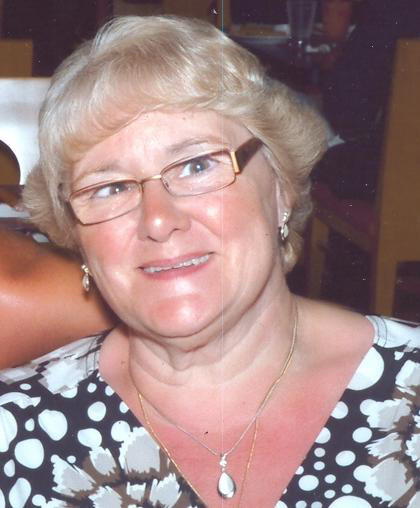 Last night, the police named the victim as Kathleen Heslop of Eastwood Road, Prudhoe. A 26-year-old man and a 28-year-old woman were yesterday arrested on suspicion of causing death by dangerous driving. The 28-year-old woman who was arrested yesterday has been released with no further police action. The 26-year-old man remains in police custody. Enquiries are ongoing and anyone with information is asked to contact police on 101 ext 62942. Detectives from Northumbria Police revealed yesterday that a dark coloured Saab car had been located which they believed may be connected to the hit and run. Speaking at the scene in Prudhoe, Superintendent Jim Napier said: “We have now recovered a car which may have been involved. It’s a dark coloured Saab with front-end damage, which would be consistent with impact in a collision of the type we saw on Saturday night. We are now appealing for witnesses. Residents described seeing police vehicles converging on the crash site on Saturday night while the force helicopter was scrambled to help locate the car. There was still a heavy police presence yesterday and officers could be seen scouring grassed areas at the side of the road in their search for evidence. Residents have paid tribute to the woman, who was well known in the community and was seen walking Trudy, a Miniature Schnauzer. Another villager who lives nearby with her young son said: “It’s atrocious. We were at the golf club and only heard about it later on when the helicopter was out. “She’s just so lovely, there’s not one bad word you could say against her. She’s lived here for years. The stretch of road where the collision happened leads from the A695 and has a 60mph limit but that drops to 30mph as you enter the village. Police believe the vehicle involved in the incident may have headed east towards Crawcrook. An incident room has been set up. To contact the team, call 101 ext 62942.